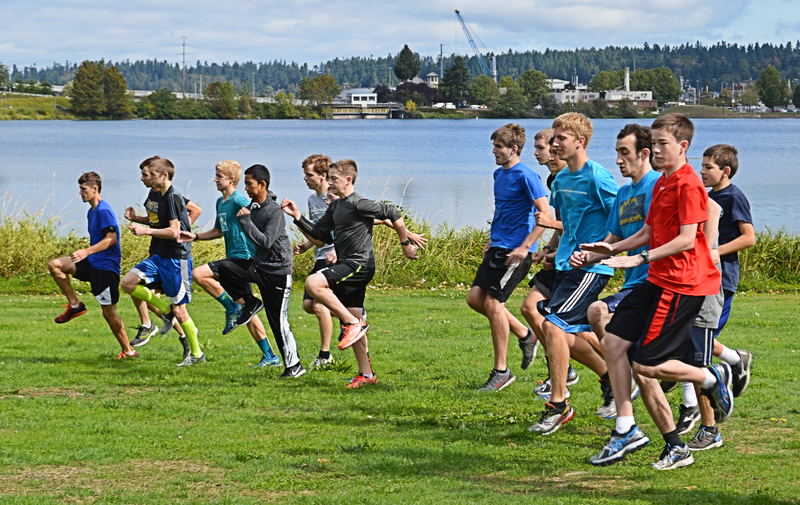 The Northwest Christian’s boys’ cross country team warms up prior to a run around Capitol Lake. When the Schilter Family Farm hosts its annual Fall Harvest Festival in October you can usually find son Luke Schilter manning the kettle corn booth each weekend. It’s actually one of the few times you’ll find the Northwest Christian junior standing still. You see, Schilter is one of the state’s top cross country runners but you would never guess that while talking to him. A year after helping the Navigators to the Class 1B/2B boys state cross country championship, Schilter is eyeing both a team and individual crown this season. The latter would be a repeat, while the former will be something new as he just missed capturing a state title the last two years, finishing as the state’s runner-up in both his freshman and sophomore campaigns. Luke Schilter, a junior at Northwest Christian, has his eyes set on individual and team titles at state this year. Asotin’s Chandler Teigen won the state title in 2013 with a time of 15 minutes, 52.99 seconds for the 5K race. Schilter was second as a freshman, stopping the clock in 16:18.31. The following year, Schilter trimmed a remarkable 30 seconds off his running time, crossing the wire in 15:48.89. 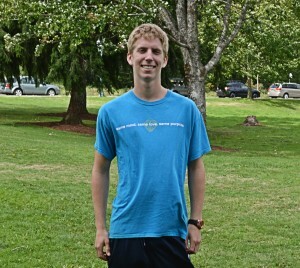 The time was 28 seconds faster than former Northwest Christian runner Lucas Graham’s 2011 state winning time of 16:17. It also bettered the 16:05.9 Justin Holden put up for the Navigators in claiming the 2010 state title. Basically, any other year Schilter’s time would have been good enough to top the field. Teigen has since graduate, but if Schilter’s recent two-mile time is any indication of how his junior season will unfold, it may not matter who he’s running against. They’re finishing second this year. Schilter covered the distance in a speedy 9:10 at the Northwest Christian two-mile time trial on August 28, bettering the school record. Luke Bredeson, teammates with Schilter, knows the support the team offers each other makes all the difference. Schilter was hardly the only Navigator posting stellar times at the event. Fellow junior Corban Phillips finished in 9:30, while seniors Luke Bredeson and Colton Buster went 9:32 and 9:35, respectively. 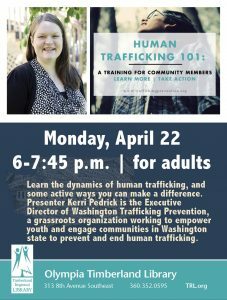 With times like that it’s no wonder Northwest Christian is gaining national exposure. The Navigators clocked in as the No. 5-ranked team in the first in-season national rankings for D-II cross country teams as selected by the High School Track and Cross Country National Coaches Association. High schools with less than 699 students enrolled in grades 9-12 are considered D-II. An impressive honor made even more eye-popping considering Northwest Christian has an enrollment of approximately 125 students, making it one of the smaller of the small schools. 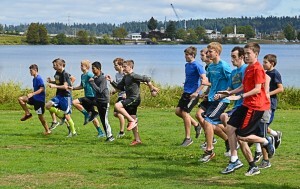 It is this support that has the boys’ team thinking championship repeat, something the Northwest Christian girls cross country team has experienced for nine consecutive seasons. 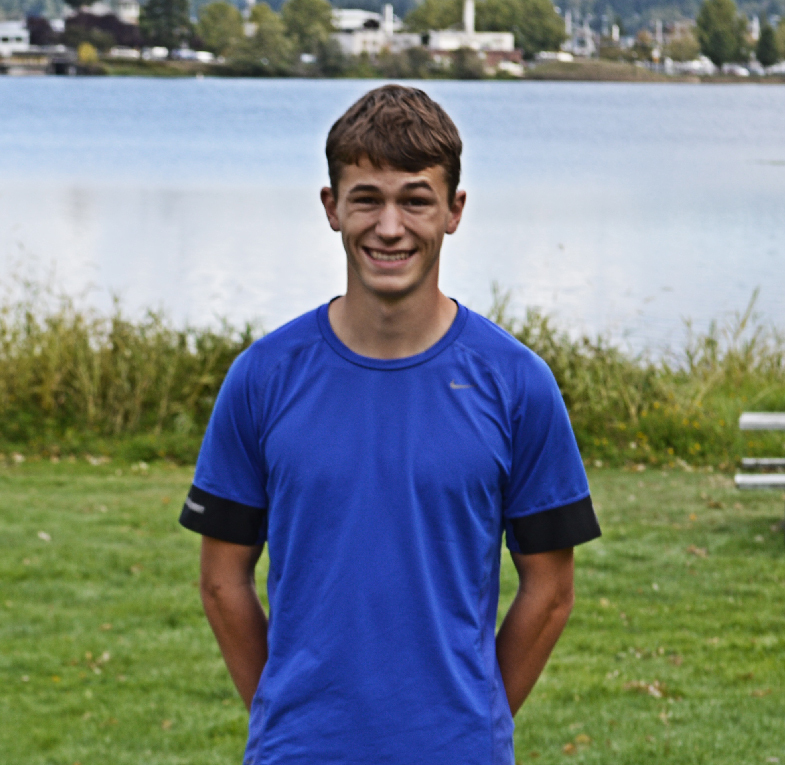 Schilter’s performances have certainly had an impact on motivating both himself and his teammates as evidenced by an early August 1.55-mile run around Capitol Lake when Bredeson bested Schilter for the first time ever in a race. Up next for the Navigators will be the Capital Invite on September 12. Schilter has won his division in each of the past two years. No runner in the event’s history has ever won the race four times.